This entry was posted on 21st March 2019 by Marci Cornett. When you want to improve your chances of getting pregnant and having a healthy pregnancy, there are several steps you can take to specifically support your fertility and work toward what will become one of the most memorable decisions of your life. To support your fertility, turn your focus to two key areas: lifestyle and nutrition. Fertility experts advise that you start making “fertility-focused” changes at least three months before conceiving. During this 90-day window the quality of your eggs is highly influenced by your diet and your lifestyle. So what changes should you make to support your fertility? Go for a diet that’s rich in whole, mostly plant-based foods. Stay away from added sugars and sweeteners as often as you can. Just say no to junk foods and highly-processed foods during this time. Caffeine—particularly coffee—has an irritating tendency to flush women’s bodies of essential vitamins and minerals—you’ll want to hold on to those for your fertility’s sake. Research shows that drinking (even drinking lightly) impacts fertility. Drinking can make it take longer to get pregnant and decrease the chances of having a healthy baby. The risks are just too great. Same goes for recreational drugs. While there are no hard and fast rules about how much or what types of exercise are best for fertility, experts agree that a regular routine of moderate exercise is the way to go. See Fitness Magazine’s article Fit to Be a Mom? How Exercise Affects Your Fertility for more guidance. Fertility starts in your brain—literally. The hypothalamus (in your brain) sends gonadotrophin-releasing hormone (GnRH) to the pituitary gland (also in your brain), telling it that it’s time to start making the specific hormones that initiate and maintain the reproductive functions of the ovaries. These are the hormones that oversee the maturation and release of an egg during your menstrual cycle. Biologists have found that stress not only lowers the levels of GnRH your brain produces, but also boosts levels of a different hormone that suppresses GnRH. In other words, stress is bad for your fertility. For ideas on how to unwind and relax on a daily basis, see our article How to Build a Mental Wellbeing Toolkit. Certain chemicals (especially ones found in conventional cleaning products) can throw off your hormones and negatively affect reproduction. Thankfully, there are lots of choices when it comes to safer, petroleum-free cleaning products. But your chemical exposure isn’t limited to cleaners—BPA, often found in plastic bottles and the lining of tins, is a chemical to eschew as well. Look for glass or stainless-steel bottles and reusable containers and BPA-free tinned goods. 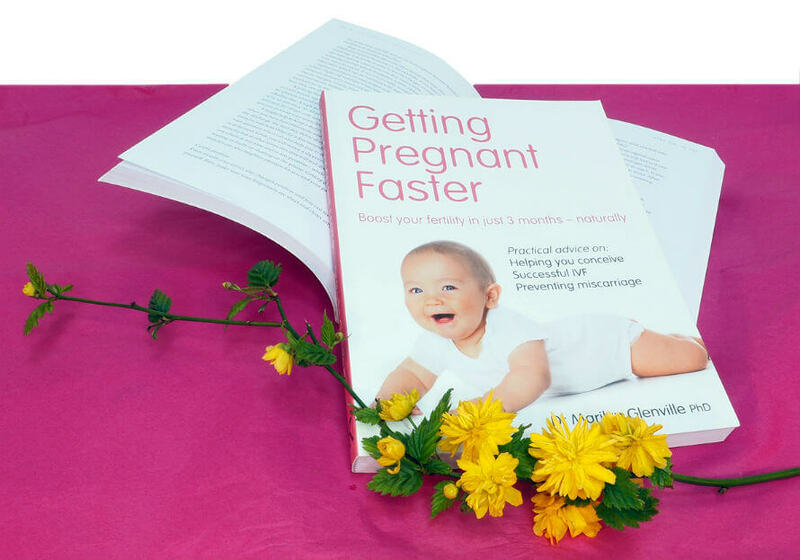 To find out even more about what steps you can take to support your fertility and a healthy pregnancy, take a look at Dr Marilyn Glenville’s book Getting Pregnant Faster. It’s packed with in-depth information about how to naturally prepare yourself for pregnancy. Looking for fertility advice focused on men? Hannah wrote an article for West Cork People covering that very topic. So come on, Let’s talk about men and fertility. Think of your all-rounder fertility-focused multi-vitamin as the foundation of your supplement program. 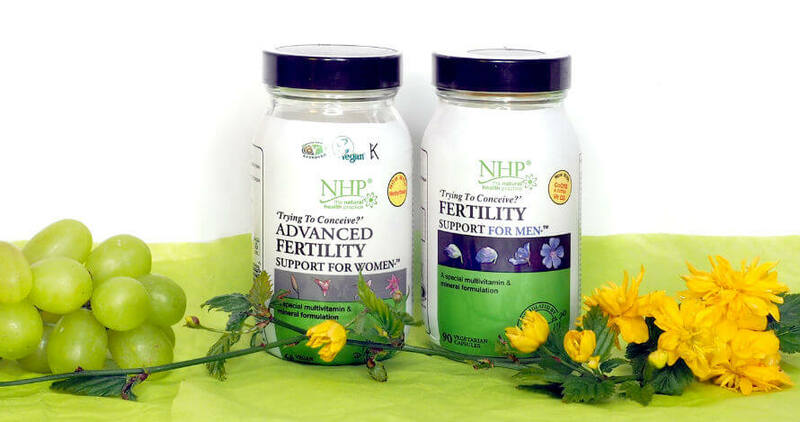 If you take one of these complexes from either Wild Nutrition or the NHP, you get most of the recommended nutrients for fertility in their appropriate amounts. We do, however, suggest that you take separate forms of CoQ10 and an Omega-3 in addition to these complexes. 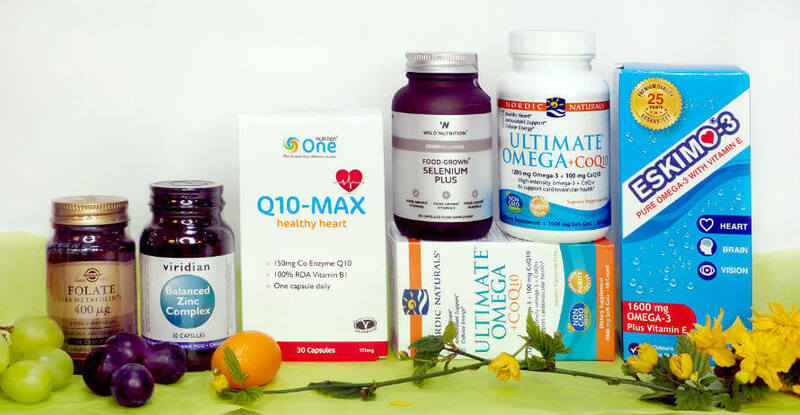 Both brands have little to no CoQ10 and Omega-3, but they do take care of everything else you’ll want to add to your nutrient regimen! These supplements are made by a company in the UK that’s figured out how to “pre-digest” nutrients by producing them from food rather than synthetics (which is what most companies do). 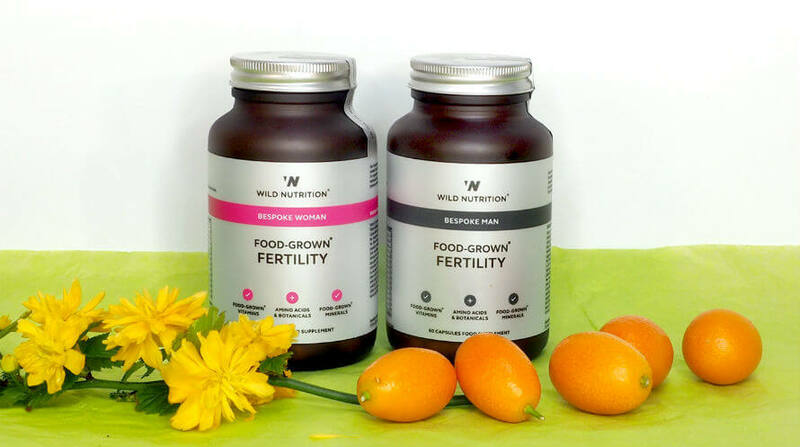 Wild Nutrition Food-Grown Fertility for Women and for Men provides the forms of nutrients that your body can easily recognize in the amounts that your body can easily absorb. The NHP (which stands for Natural Health Practice) collaborated with Dr Marilyn Glenville to create this range of nutritional support focused on fertility. As with all of Dr Glenville’s products, you can be sure she’s chosen the most bioavailable form of each nutrient. The anti-inflammatory fats in an Omega-3 supplement can support fertility through their ability to bring balance to the production of hormones and improve the flow of blood to the uterus. A healthy store of Omega-3 will also come in handy during pregnancy by helping your body stay hydrated and providing enough Omega-3 to supply you and your baby. And because of the potential high mercury levels in oily fish, we feel that taking a pollutant-free Omega-3 supplement, such as Eskimo-3 Omega-3 with Vitamin E, is a safer source of this nutrient. CoQ10 helps nourish a developing egg before ovulation thereby improving the health of the egg. As a powerful antioxidant, CoQ10 can also support a higher quality egg by reversing free radical damage. Folic acid—perhaps one of the most well-known fertility supplements—and Folate provide essential B vitamins that support balanced hormones and the healthy circulation of nutrient-rich blood. Dr Glenville writes, “It is now known that folic acid can prevent spina bifida in your baby, and it is essential that you get plenty both before and during pregnancy.” Folic acid also has a part to play in the healthy formation of DNA and RNA—or, the very genetic material of your baby. Zinc contributes to a healthy balance of hormones, particularly those that are known to directly influence your fertility. It’s another nutrient that plays an essential role in the healthy formation of genetic material. This is all about protecting your fertility and the development of your baby on a chromosomal level to decrease the risk of miscarriage. With selenium, you get a powerful antioxidant that serves as a guardian against free radical damage. It helps to fortify the body against chromosome breakage, a known contributor to birth defects and miscarriages. We understand that the road to pregnancy is sometimes a bumpy one, but don’t let frustration overwhelm you! If you’ve been trying to get pregnant for over a year, the first step is to look at the dietary, lifestyle and nutritional changes that can help you conceive. Come have a chat with us in Organico (or send us an email at info@organico.ie) and we’ll be happy to go through your options in each of these areas. If a few more months pass and you still haven’t been able to conceive, we recommend you book an appointment with a nutritional therapist who specialises in fertility. A specialist will be able to prescribe fertility tests and design a personalised strategy that suits your body and your needs. 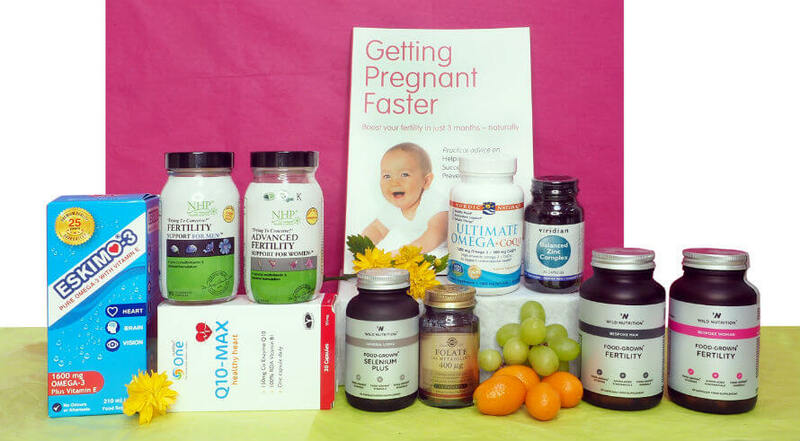 Wild Nutrition offers a very useful gift for once you become pregnant. When you purchase their Food-Grown Pregnancy supplement—to be taken during pregnancy and breastfeeding—you’ll receive a copy of the book Your Pregnancy Nutrition Guide, written by the founder of Wild Nutrition, Henrietta Norton. We truly feel that the love, care and patience you show yourself during this season of preparation will make its way to your baby once you conceive. Whether you’re only getting started, or you’re seeking ways to improve a journey that began long ago, we’re honored to be part of the network of support that you’re bringing together for this incredible, life-changing journey.